Bluetooth® Built-In – giving you the choice of utilizing Wi-Fi networks or Bluetooth to stream music on the HEOS wireless multi-room sound system. Now offering High Resolution Audio delivering the ultimate listening experience over network or USB all in the convenience of your home. Sound is optimized via precision acoustical processing algorithms that originated in top recording studios. The Denon HEOS 7 is Priced and Sold as Each, For a Pair Add Two to Your Cart. 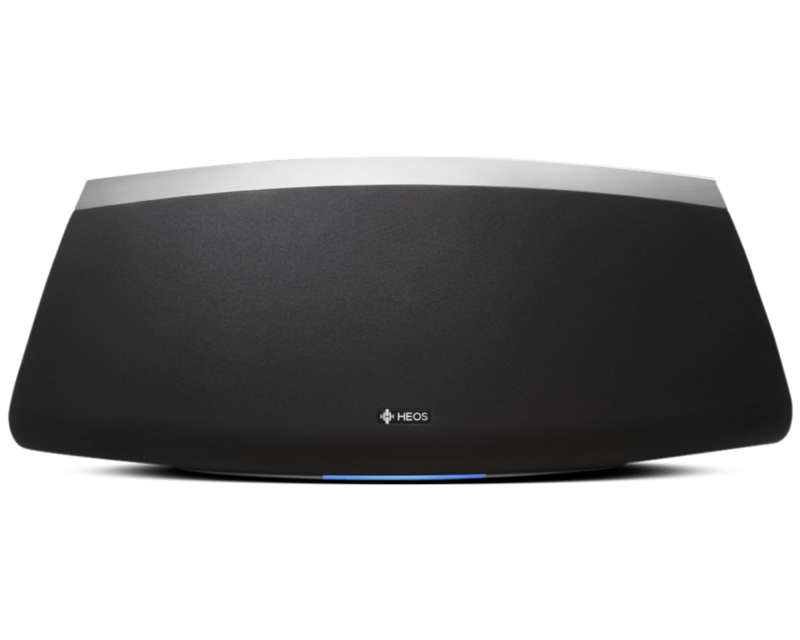 The Denon HEOS 7 (Series 2) Powered Wireless Speaker is packed with five built-in drivers and plenty of power to push them. 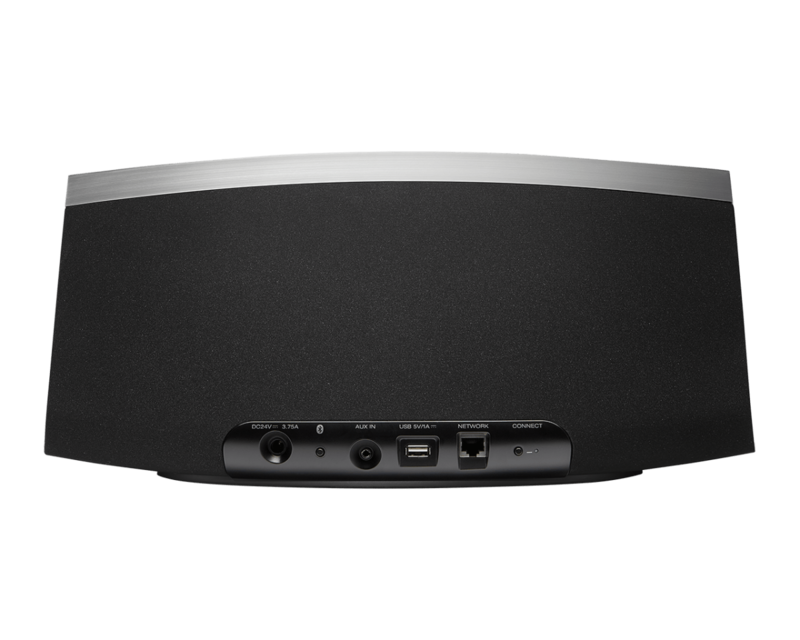 Denon’s top-of-the-line wireless speaker can still fill a large room with full, natural sound and plenty of punchy bass. And now the Denon HEOS 7 gives you wireless access to pretty much all of your music — including high-resolution files and Bluetooth sources. Download the HEOS app for your Apple®, Android™, or Kindle device. You get full control of this powerhouse, along with other HEOS speakers throughout your home. Play tunes wirelessly from your library and your choice of streaming services like Pandora® or Spotify®. And when you have guests over, they can quickly pair up and share their own playlists through the HEOS 7 speaker via Bluetooth. The first generation of HEOS was very fast and easy to set up. Denon hasn’t changed that a bit with their latest series. An included setup cable connects your smartphone or tablet to the HEOS 7. With a few taps of the app, your Wi-Fi settings are automatically transferred. When you unplug the cable, you’ll have full wireless control of the speaker. Add other HEOS speakers throughout the house. The HEOS app lets you choose one song for the HEOS 7, and something completely different for, say, a HEOS 1 speaker in the kitchen, or a HEOS HomeCinema sound bar in the living room. Or you can group HEOS speakers together and have the same tunes playing throughout several rooms. Have first-generation HEOS gear? All HEOS components are compatible with each other. With the HEOS app you can choose one song for the HEOS 7, and something completely different for a HEOS 1 speaker elsewhere in the house or maybe a HEOS HomeCinema sound bar in the theatre room. You can also group HEOS speakers together and have the same songs playing throughout several rooms of your home. Great news if you already have the HEOS first series…all components are compatible with each other. You’ll have a wide array of music options with HEOS. Music stored on your tablet or smartphone is easily accessible, in addition to downloads from your computer or other server. Including your high-resolution music files. There is also support for SiriusXM, Amazon Prime, Pandora®, and TIDAL. You can pull up a podcast or new song on SoundCloud, or stream Internet Radio from iHeartRadio, or TuneIn. You’re a Spotify® Premium Subscriber? Play all your favorite albums and playlists with Spotify Connect. With the Denon HEOS 1 Bluetooth you’ll be able to listen to live clips from YouTube, or a music service that’s not yet available on the HEOS app. Stream any and all audio sources from your phone or tablet through the HEOS 1, without restrictions. You can also send that Bluetooth stream to other HEOS speakers. Ideal for large rooms and open areas such as living rooms, patios, or open-floor-plan homes. 7 Driver Speaker System – 5 active drivers, including 2 precision tweeters, 2 mid-woofers, 1 subwoofer. 2 passive radiators provide additional bass augmentation. Class D Digital Amplification – 5 channels of Class D digital amplification provide high efficiency, lowest distortion and widest dynamic range. Headphone Output – Equipped with a standard 3.5mm stereo headphone jack, the HEOS 7 features automatic speaker muting when a headphone plug is inserted into the headphone jack. Auxiliary Analog Line Input – The 3.5mm stereo analog auxiliary line input lets users connect a device with analog stereo output directly to the HEOS 7. Music Subscription Services – The HEOS app lets you choose from popular subscription streaming services including Spotify, Pandora, TuneIn, Amazon Music, iHeart Radio, SiriusXM, SoundCloud, TIDAL and Rhapsody. More services will be added soon. Internet Radio Stations – Choose from your favorite internet radio stations and listen to MP3 and WMA streaming audio. WAV, ALAC and FLAC: Up to and including 24-bit/192kHz. 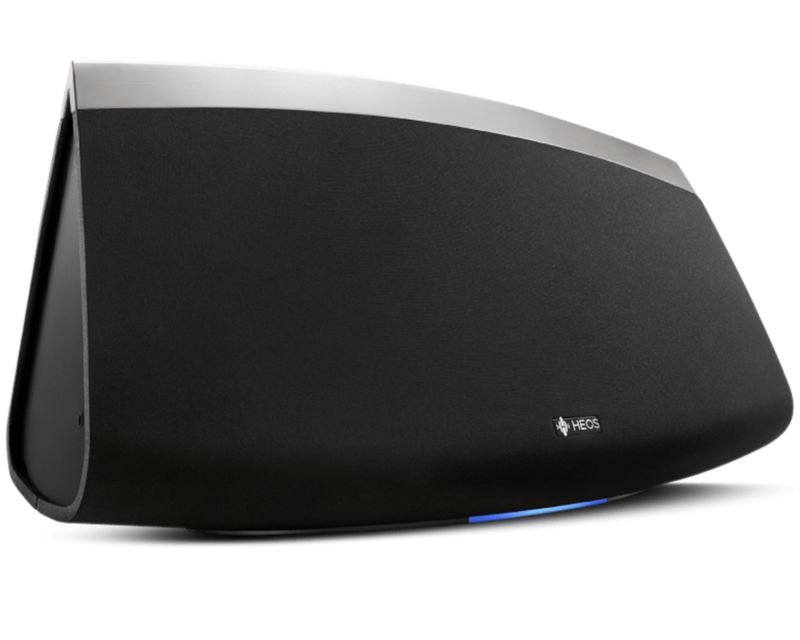 Bluetooth Supported – Play on one speaker or add other HEOS speakers in party mode. Picture Formats Supported – HEOS 7 supports JPG, PNG, BMP and GIF album art picture formats. HEOS 7 supports USB thumb drives via the built-in USB port. Music content on a USB drive can be played back locally, or on any or all HEOS players on your network. 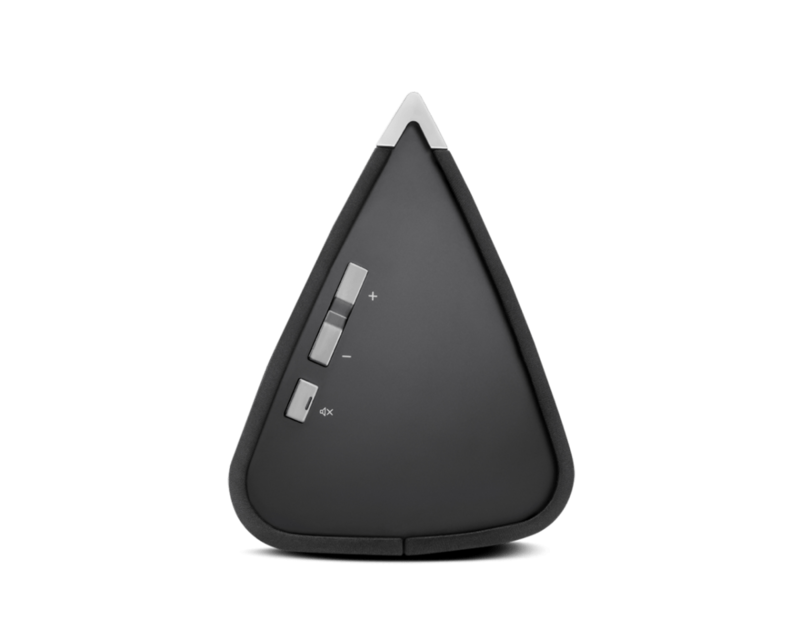 Wireless Connection – Connect to your wireless network quickly and easily. 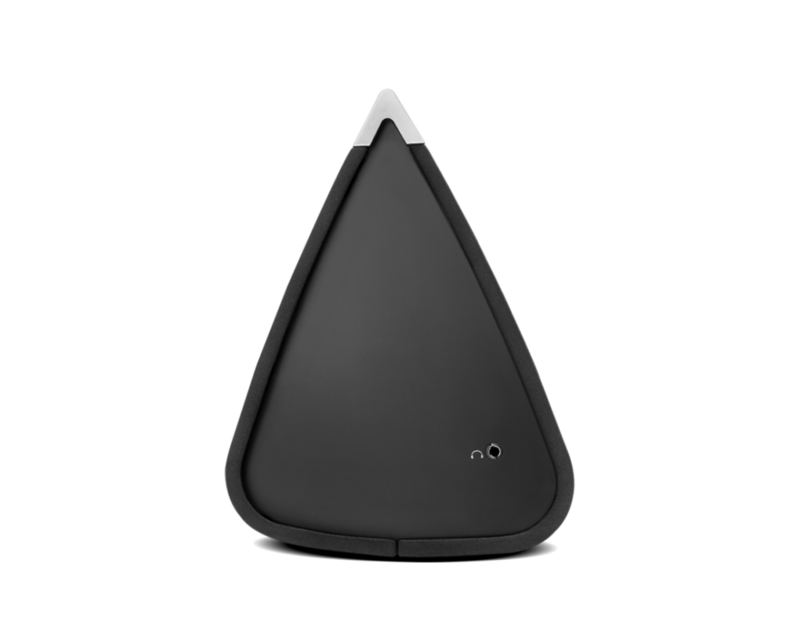 HEOS 7 supports the latest 802.11 networks (including dual band “N”) for the most reliable network connection. Wired Connection – Connect to your home or office LAN system via the RJ-45 wired LAN port.